It also happens to be the first thing I read in 2015. 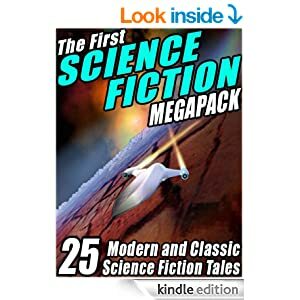 With 25 classic Sci-Fi short stories, what could go wrong? I was slightly swayed by the price (£0.90 on Amazon for Kindle) and wasn’t let down. This cornucopia of tales about the future, the present and places far far away is a pretty good gamble. ‘And All the Earth A Grave’ by C.C MacApp was a standout for me – I mean, when have caskets not been fashionable? Sentiment, INC by Poul Anderson, about the art of dating through brainwashing, was particularly entertaining.